Incredible sights and sounds characterize the presentations of Dennis Waring. From the Aztecs to the Africans, from the ancient to avant-garde, Waring uniquely combines music, art, history, geography, and social studies into insightful programs of global awareness. 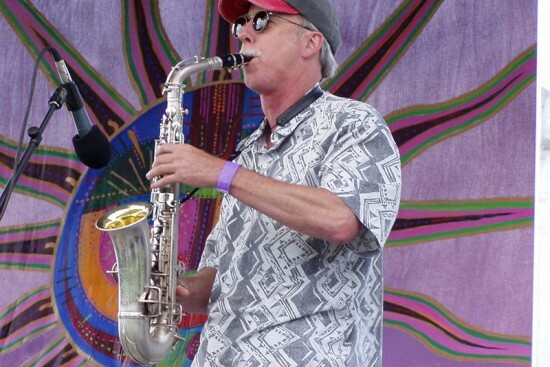 As ethnomusicologist, music consultant, educator, performer, and instrument maker, he has developed and invigorated arts and humanities programs in hundreds of educational institutions throughout North America. 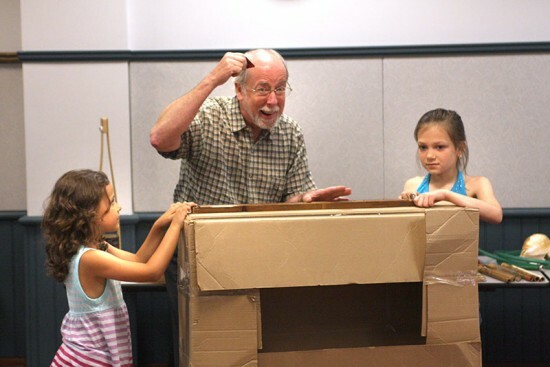 Dr. Waring is a multi-instrumentalist and author of the books, Great Folk Instruments To Make and Play, Cool Cardboard Instruments To Make and Play, Make Your Own Electric Guitar and Bass, and Making Drums. 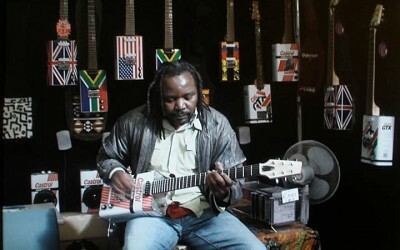 Waring is at home with all musical styles-folk to fusion-and regularly performs using his own hand-crafted instruments. His visionary programs are based on thirty years of experience working with people of all ages in both academic and recreational situations. Though designed principally for the middle grades, special programs for very young children or for high school age students are also available. Planning is done on a school by school basis with an effort to accommodate each school’s special needs. Multi-day residencies are custom designed with teachers and school administrators. Using a wide array of instruments, indigenous and homemade, Waring weaves fun fascinating tales of the origin of music and how all cultures through time utilized their natural environments for making fantastic sound-making devices. Evocative instruments like the bull roarer, mouth bow, animal horn, sea shell trumpet, and bamboo flute, for instance, are universal in range. The most distinctive characteristic of Waring’s show is that he makes most all the instruments he demonstrates. Each instrument, either because of its particular sound, design idea, or special symbolic dimension, has its own special story. This assembly program is a demonstration/performance of almost fifty handmade/ homemade musical instruments based on ideas and inspirations from around the world. Interesting sights, sounds and stories provide audiences with new awareness into folklore, music, craft, science, and world view. 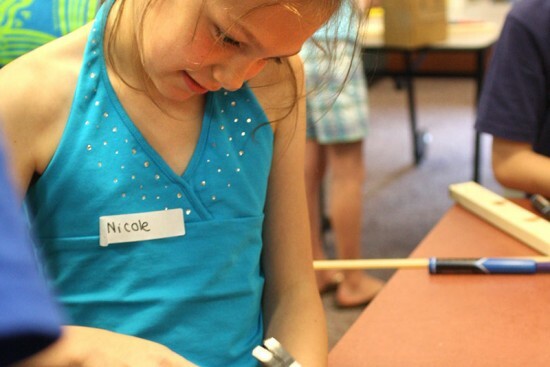 Follow-up instrument building workshops and extended residencies are available for all age groups. Watch the following snippets from the DVD “From Trash To Tunes” about Building Simple Instruments from Recycled Materials. 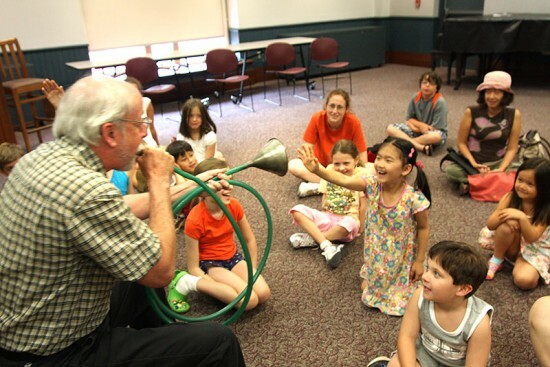 Dr. Waring offers a variety of instrument making workshops for all age groups. 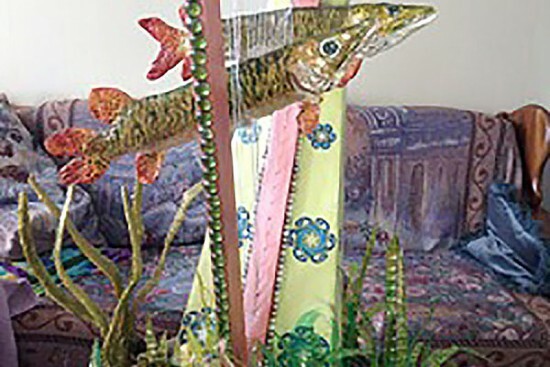 In keeping with the themes of ecological awareness and recycling, Dennis Waring shows groups how to make instruments from materials which are usually thrown away as garbage. 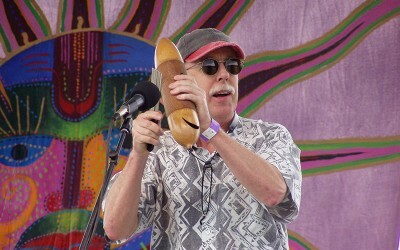 By making musical instruments from scrounged materials, participants not only help our environment in a small way but also learn much concerning art and craft, acoustics and the science of sound, and gain multicultural insight and appreciation by examining the clever ways people of the world have created their magical, mythical, musical devices. Many, many other instrument making possibilities! Tools and most materials are provided for a nominal fee. Groups of up to twenty or so can be accommodated for each workshop session. Instruction for building instruments begins with a “Mr. Wizard” style presentation in which small groups of students watch or assist in building prototype instruments under the direction of Dr. Waring. Instruction time for each instrument prototype is approximately 1/2 hour. 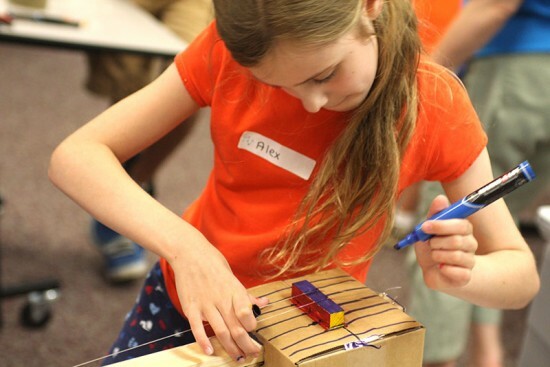 The actual building portion of the workshop is approximately one hour depending on age group and number of people. Instrument making workshops require several large work tables with four or five people per table. The Music Around the World Show is a one hour tour through the music of six different world cultures. Dr. Waring traveled around the world during the spring of 1999 and 2005 as shipboard ethnomusicologist with the University of Virginia’s Semester At Sea program. 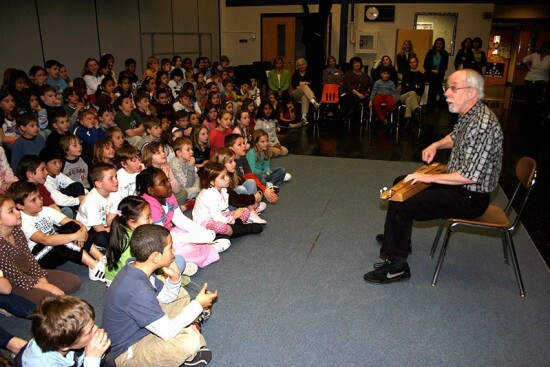 He brought back many fascinating musical instruments and stories. This presentation is a result of his experiences and adventures in several of the countries he visited. Designed for small audiences (100 people maximum), the program emphasizes group interaction and participation. 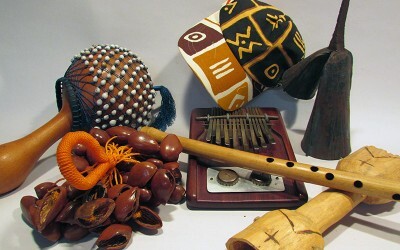 Musical instruments, each unique to the culture represented, are demonstrated and discussed in regard to points of history, social studies, science and art. Participants will engage in song and instrument play representative of each of culture area listed below. Native Peoples: How did music begin? Instruments like the musical bow, bullroarer and conch shell trumpet have been used by tribal cultures since the beginning of time. Communicating with the spirit world through music is a universal trait among early societies. Latin America: Mexico, Central and South America, and the Caribbean embody a massive amount of music with strong African and European influences. By playing the Brazilian samba, Cuban mambo, and Trinidadian calypso, participants learn about the rhythms and social milieu of these countries. Africa: Drumming, singing and dancing go hand in hand throughout Africa. Playing drums together is a powerful and unique form of group interaction. The intoxicating rhythms of this wonderful culture have influenced music around the world. India: The ancient music of India has a timeless quality. 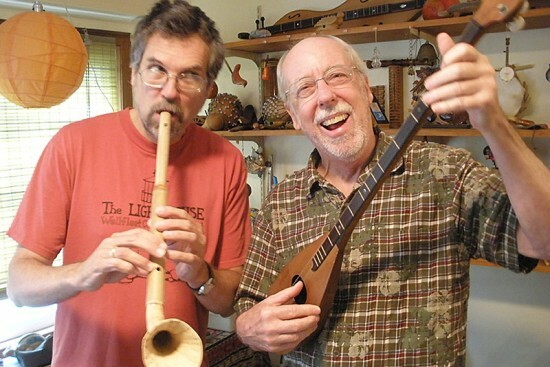 Many unusual sounds and instruments reveal a culture very different than American culture. From the sacred music of the singing bowl to the strident melody of the snake charmer, India holds a host of surprises. China: A beautiful pictorial scene or sentiment expressed through sound is the greatest lure of Chinese music. With its lovely melodies and accessible musical scales, this music is one everybody can enjoy. Flutes, gongs, cymbals, and drums fill out this ensemble. Folk Music of the USA: The folk music of the United States is historically revealing and fun to play. The Appalachian Mountain jug band is a classic of American music ensembles. 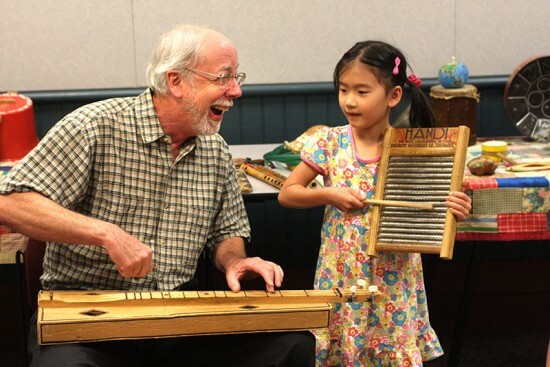 Dulcimers, jew’s harps, washboard, spoons, kazoos and a washtub bass make up this join-in activity. 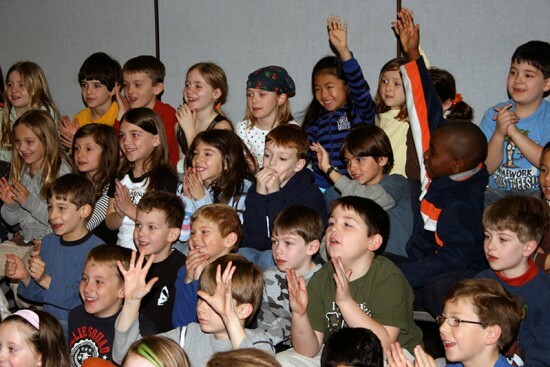 Waring Music provides inservice presentations and workshops designed specifically for curricular enrichment of educational and recreational programs. Teacher inservices and credit courses are facilitated through a variety of universities, community colleges, public school systems, and municipal arts organizations. 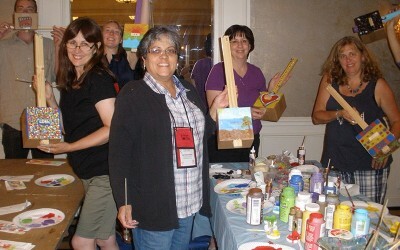 Workshops usually range from one hour to a full day. Dr. Waring also offers week long summer institutes at Villanova University (Villanova, Pennsylvania), VanderCook College (Chicago, Illinois), and various Connecticut universities. Though music is emphasized, interdisciplinary approaches create connections between music, art, science, social studies, writing, history, and geography. 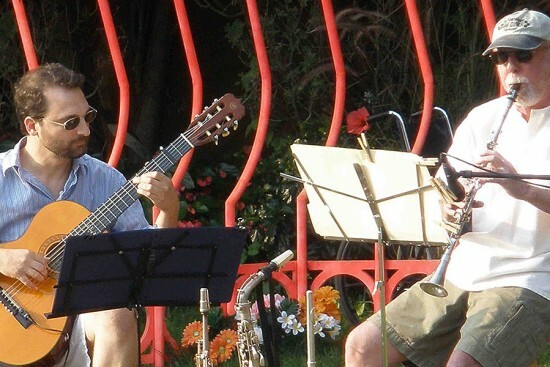 All activity is largely hands-on and appropriate for musicians and non-musicians alike. This workshop takes a birds-eye view of the traditional and popular musics of Europe, Africa, Latin America, and the USA. By tracing four hundred years of intersecting musical folkways of four continents, participants will more intensely appreciate the historical and contemporary dynamics which have shaped today’s global expressive culture. Participants will have the opportunity to sing and drum traditional music of Africa, play Appalachian Mountain folk music, experience music of selected African-American folkways, perform choice dance rhythms from Latin America, and build simple musical instruments based on intercultural inspirations. Groups learn to drum and sing music characteristic to Brazilian and various Afro-Caribbean cultures. The samba of Brazil, mambo of Cuba, and calypso of Trinidad are taught using authentic instruments. Other Latin music and dance forms are discussed and understood within their geographical and historical contexts. Rhythm charts, resources, and extension activities will be shared. Participants will learn some traditional and contemporary ensemble pieces from Africa. Playing recreational music of Ghana involves drumming, singing and movement; singing choral music from South Africa provides insight into that country’s social challenges; studying the music and instruments of Kenya and Zimbabwe explores traditions that reach far back into African history. Listening to contemporary African music reveals insight into African sensibility of today and its influence on American and world music. 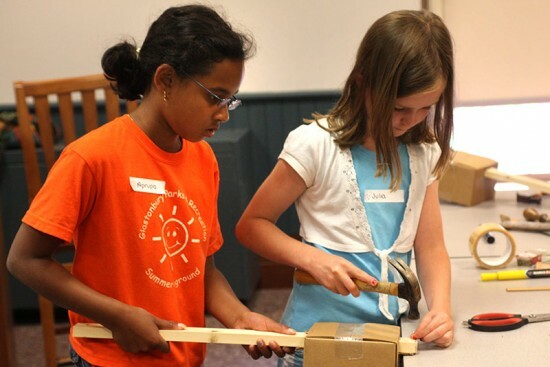 Building simple instruments from natural or recycled materials involves music, science, ecology, math, and art. 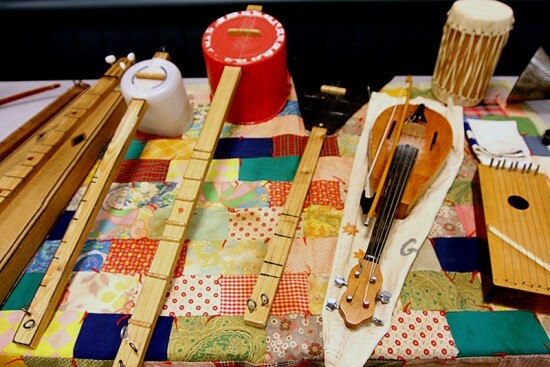 Individuals make projects including instruments such as the “bleach bottle banjo”, “hosepipe recorder”, “coffee can drum”, “mailing tube rainstick”, “scrap wood xylophone”, and “bobbie-pin thumb piano.” Instruments really work, sound good, and can be combined for ensemble playing. See “Instrument Workshop” page at this website for more information. 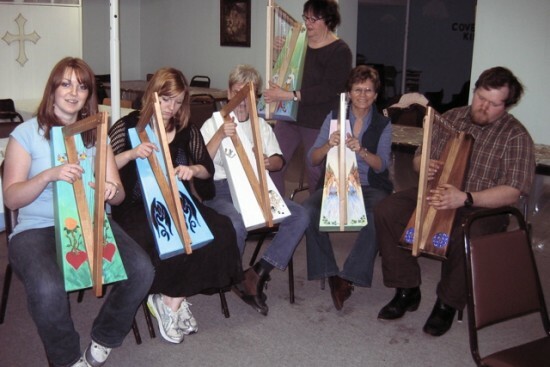 More involved instruments such as the Celtic Harp, Appalachian Dulcimer, Banjo, Four String Guitar also available. 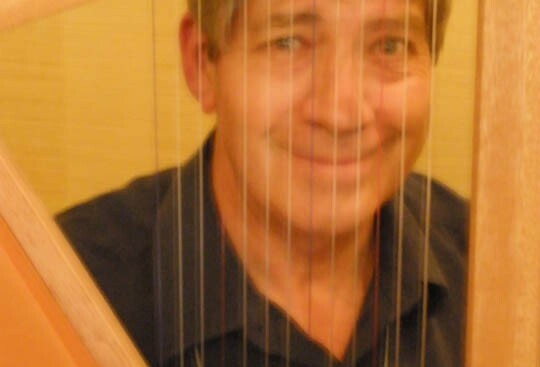 See “Waring Harp” page on this website for more information.